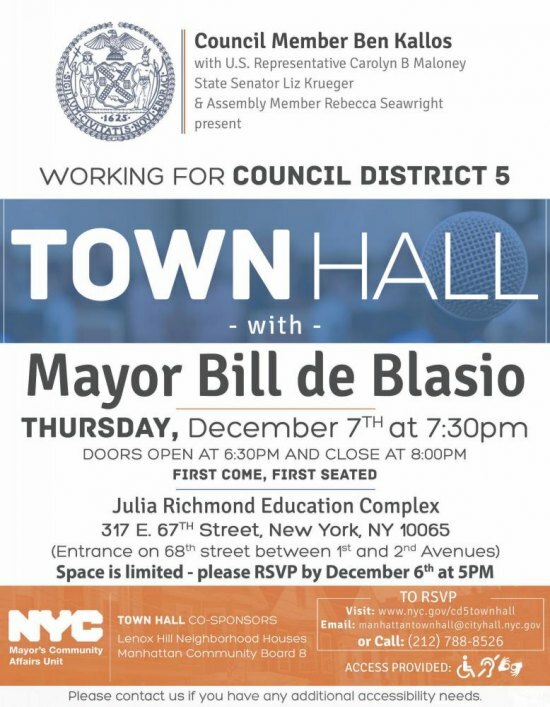 7:30 P.M. at the Julia Richmond Education Complex, 317 E.67th St.
Roosevelt Island's recently reelected City Council Member Ben Kallos brings Mayor Bill de Blasio for a Town Hall for the Fifth District at 7:30 p.m. at the Julia Richmond Educational Complex, 317 East 67th Street, entrance on East 68th Street between 1st and 2nd Avenues. 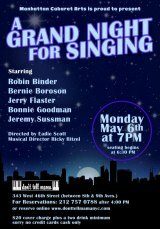 This is a major community event, a rare chance to talk directly with the mayor. Residents of the 5th Council District are asked to RSVP by December 6th at 5:00 p.m. via email at manhattantownhall@cityhall.nyc.gov or by calling (212) 788-8526. Space is limited.